Books have becomes a very cherished keepsake. For avid collectors, there is nothing better then being able to gaze at shelves of books. Even for someone who simply likes to read, it is nice to have options. You could turn a spare room into a private library. If you don’t have enough books (yet!) to fill up a room, then consider it as your quiet place. Remember, there’s no loud noises in libraries. This can be a room where you shut the door and go off the grid for some much needed quiet time. Sounds very relaxing. Are you a creative person? Maybe you were more creative years ago but got busy with life. Perhaps if you had a room dedicated to your creativity you might start expressing yourself again. An art studio can also be the room for all kinds of arts and crafts like sewing, quilting, framing and anything else you want to do with your hands. If it happens that your extra room has a lot of natural sunlight, then you’ll be ahead of the game. Regardless of their age, children have a way of taking over a home with all their stuff. Wouldn’t it be nice if there was one room and one room only dedicated as the play space? This can be where all the toys, crayons, blocks and other kid items can be kept. Playtime means time in the playroom. When the kids grow up, you can makeover the room so it becomes their gaming place or where they practice a musical instrument. 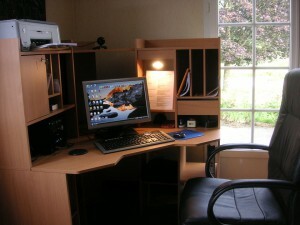 If the thought of starting your own business is on the agenda, then you’ll want a home office to launch your company. Even if you’re not starting a business, you would still benefit from having a dedicated space where you can pay bills and take care of the household business. The quickest way to achieve this extra room is with a junk clearing session from Junk Works. Remember, any space like a basement, attic or even the garage could be adapted for one of these extra room ideas. The team from Junk Works can sweep in and clear out that area of any unwanted furniture, electronics, appliances and the rest of your rubbish. Find yourself an extra room with help from Junk Works. This entry was posted in House Cleaning Benefits, Junk Removal and tagged extra room., junk works, rubbish on June 30, 2018 by Junk King. Last updated July 2, 2018 .